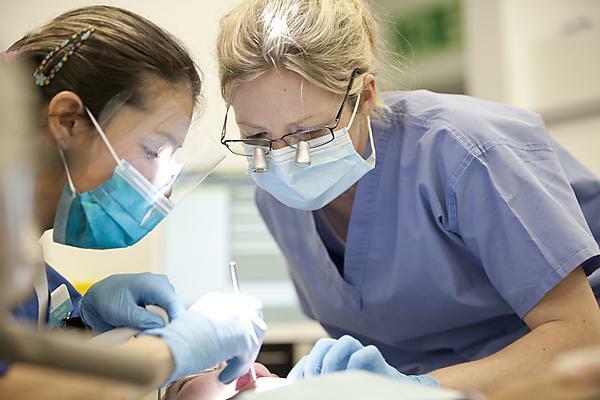 A research study at Plymouth University Peninsula School of Dentistry which aims to develop a simple saliva test for gum disease (periodontitis), has received a grant award from the Oral and Dental Research Trust. It is an irreversible condition and a common cause of tooth loss with 30 per cent of the UK population suffering from the disease, 10 per cent severely. Those with periodontitis often have poorer physical, psychological and social quality of life measures compared to healthy individuals. It is also linked to conditions such as heart disease and arthritis. During the disease process the bone and soft tissue that hold teeth in place are destroyed – teeth become loose and eventually fall out. As well as being unpleasant for the patient, periodontitis is time consuming and expensive to treat. As a result, it is crucial that a way is found to prevent the disease, assess its risks and ensure early detection. As a consequence, the Plymouth research team are developing a rapid and reliable saliva test which in time may be made available to large numbers of people as an over-the-counter product, for routine use by the general public. This current funding will help the team to identify specific biomarkers for periodontitis which would form the basis of a chair-side test in the dental surgery or something people could purchase over the counter at a pharmacy.